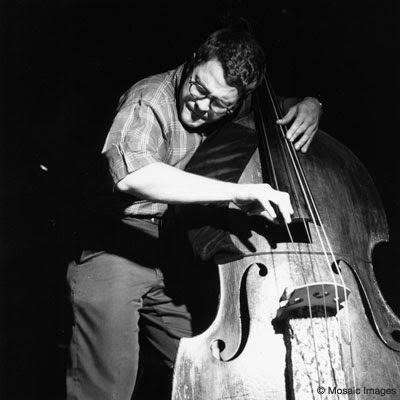 This past Friday, July 11th, jazz bassist Charlie Haden passed away. The first time I listened to Charlie Haden was consequently the first time I listened to free jazz. I heard of the album "Free Jazz" by Ornette Coleman and decided to listen to it. It seemed so crazy to hear those sounds- people can do that? That is allowed? And it hit me- you are allowed. In fact, you never needed permission in the first place. 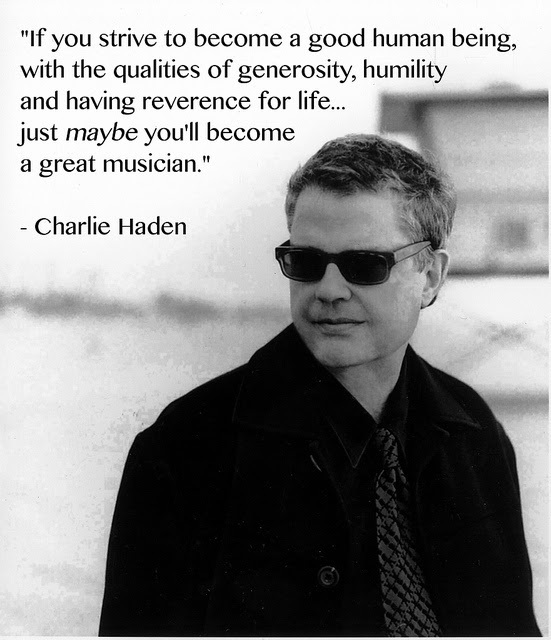 Read this New York Times article and this LA Times article about Charlie Haden to learn about his life. "Free Jazz" used to be the album that woke me up for high school (that and Mahler Nine). I thought it would be the only thing that could wake me up so early- and it was. This album hits you in the face, in a good way. This was the first free jazz album I listened to, and I think the shock of that moment will always stick with me. I listen to a lot of Keith Jarrett, and this album always struck me as intrinsically beautiful. Haden's sound is lyrical, broad, and strong. The interplay between Haden and Jarrett seems more like a conversation than any musical statement- it is as if each note is a word spoken to one another. This piece is quite calming and reflective- it brings a smile to any face. Some of the lyrics are: "My loneliest days will never seem long/ As long as there's music and you are the song". Chet Baker is one of my favorite jazz musicians for his melodic sense and lush tone, and Haden is the perfect match to Baker in this song. This song elicits the detachment and solemness of silence through the use of sound- it feels like a film score with its broad strokes of sound. "Lonely Woman" is a jarring song filled with rhythmic hits and climbing melodies. There is a certain level of intensity in this song that is difficult to come by- this keeps you glued to the tragicness of the musical narrative. What really connects me with Haden's music is the humanness behind every note. Haden emphasized the importance of being a good human being before being a great musician, which illustrates the integrity in his character. "As Long As There's Music" Charlie Haden will be remembered as the bassist that spread love not only through music, but through his own humanity.